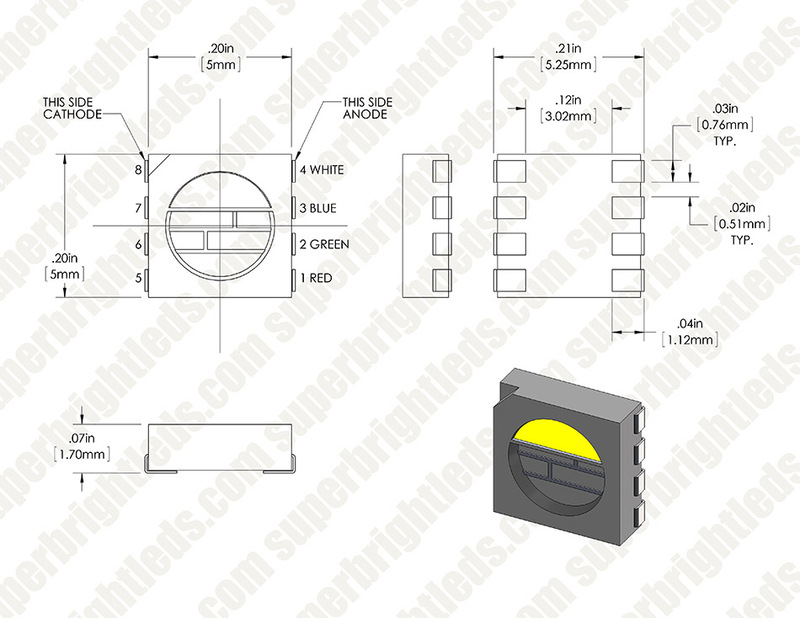 5050 SMD LED - RGBCW Surface Mount LED w/120 Degree Viewing Angle: Back View. 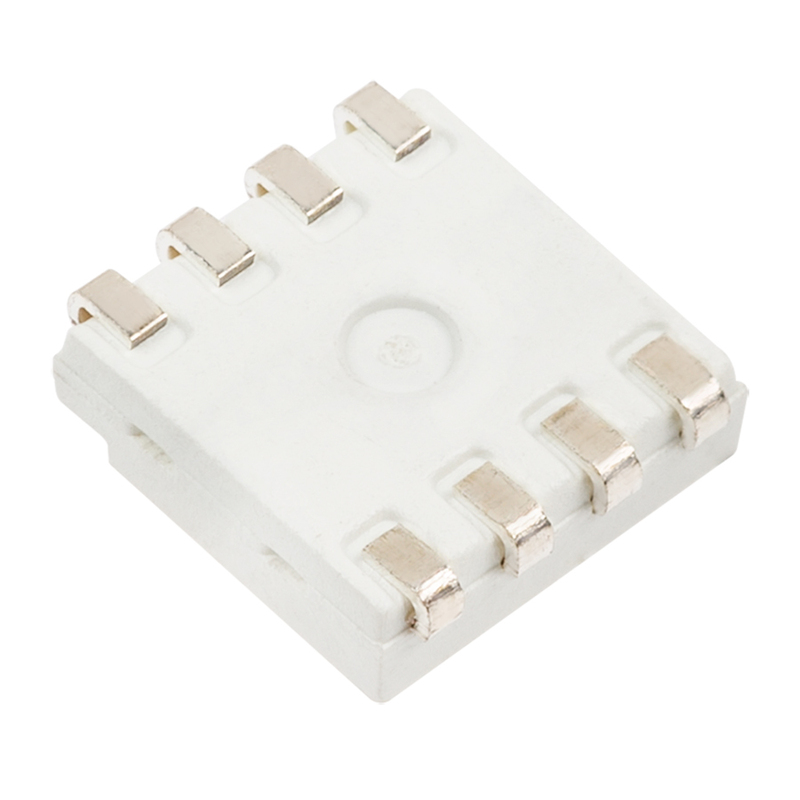 5050 SMD LED - RGBCW Surface Mount LED w/120 Degree Viewing Angle: Front View. 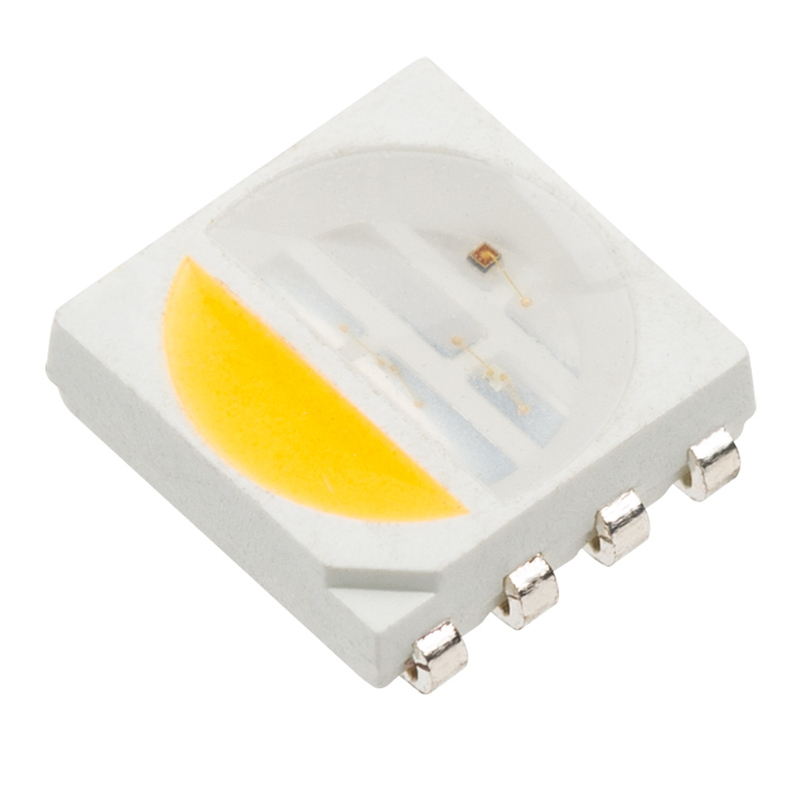 This 5050 4-Chip SMD LED is the cutting edge in LED color-changing and color-blending technology. 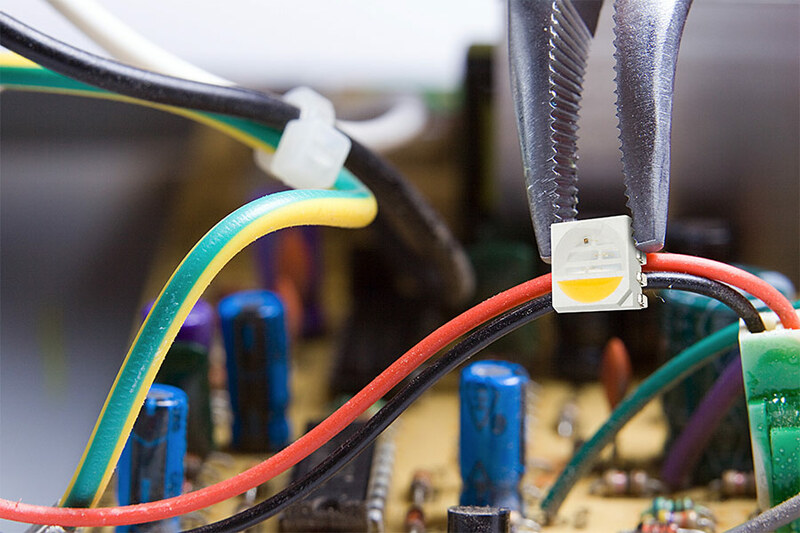 The cool white chip adds a new dimension to the RGB color wheel and avoids the strange hues typically associated with standard RGB "white" colors. 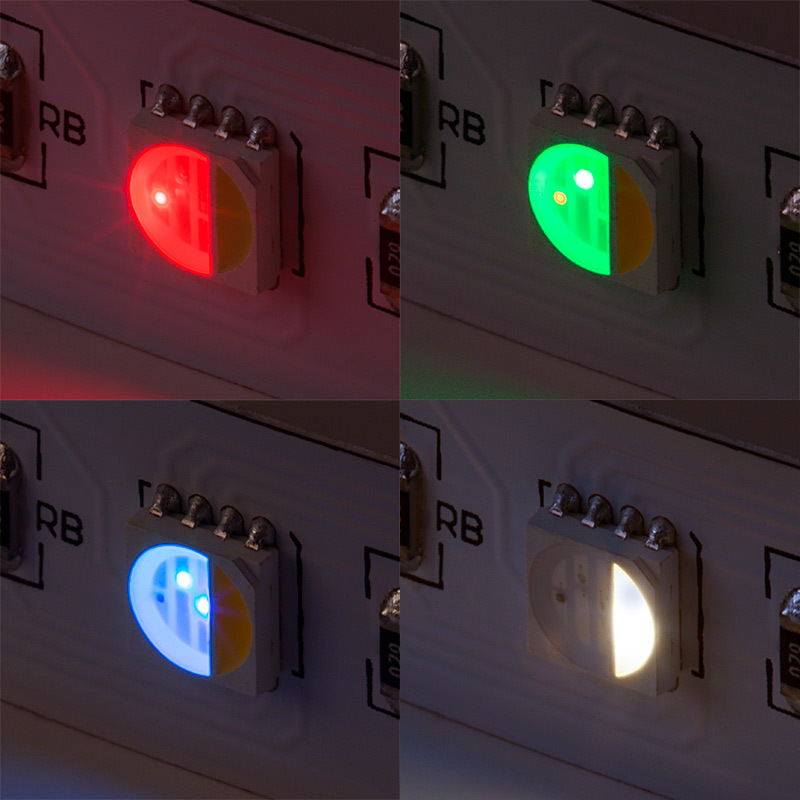 Use this compact SMD LED to blend your four source colors while reducing hot-spots, glare, and shadows. 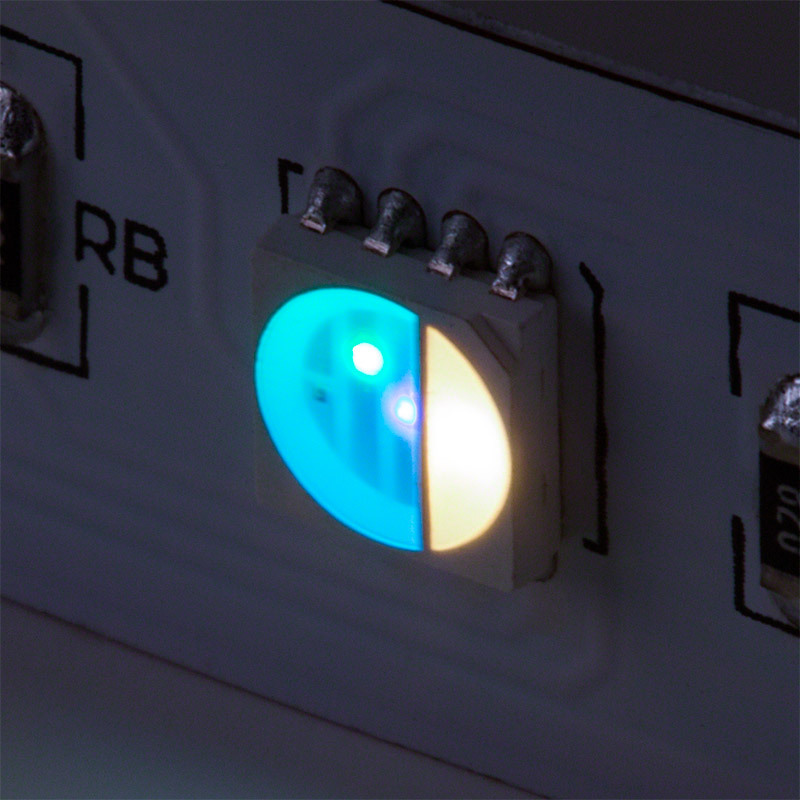 Red, green, and blue chips have 625nm/520nm/465nm wavelengths respectively, and cool white has a 6500K CCT. 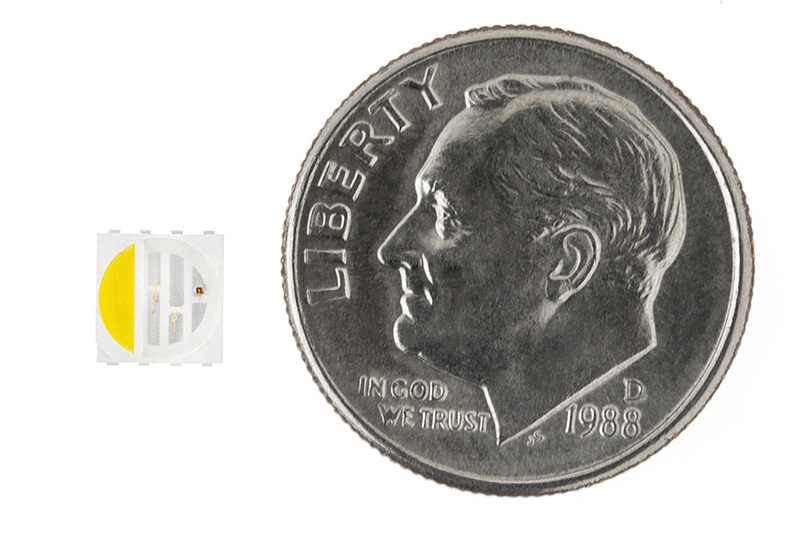 The LED emits a wide 120° viewing angle. 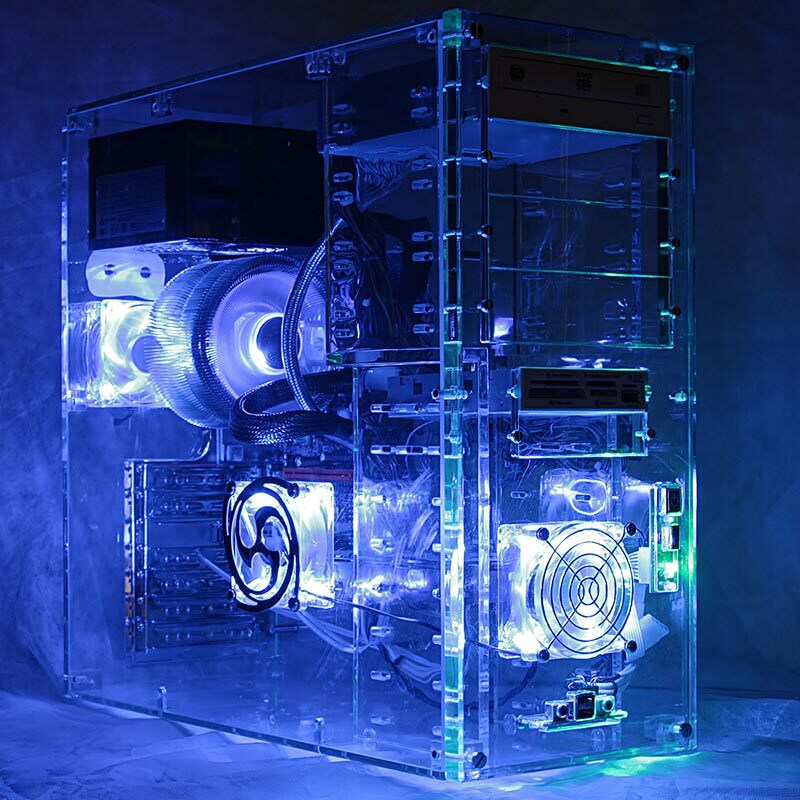 Also available in RGB/Natural White, RGB/Warm White, and RGB.